Sarah is a Kinesiologist and experienced endurance coach who trains athletes of all abilities with a wide range of goals. From first 10k's to ultra marathons to adventure races, multi-day staged races and bucket list trekking adventures, Sarah is passionate about helping her clients reach their fitness dreams. Sarah works passionately with her clients and provides them with the knowledge and tools they need to overcome obstacles and reach their goals in life and sport. Sarah is the owner and founder of Equilibrium Lifestyle Management. She holds a degree in Kinesiology from the University of Victoria and has been working in the fitness and rehabilitation field since 1995. Her education includes both the art and science of Kinesiology, combining sports psychology, physical education and exercise physiology. 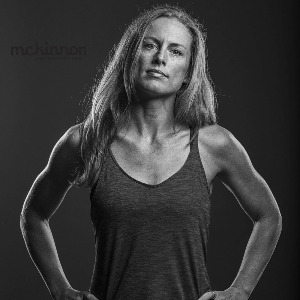 Sarah has extensive post secondary education in the areas of coaching, nutrition, biomechanics, exercise physiology, strength and conditioning. Sarah's experience comes not only from certification and training but also from her own success in life and sport. Before starting ELM, Sarah worked in the wilds of British Columbia with the BC Forest Service. First, working as a treeplanter and then as a member of the Rapattack Wildland Firefighting Team for five years, Sarah learned the joys of hard, physical work. She has been successfully competing in endurance running, mountain biking and adventure racing events for over 13 years. Success. Coach Sarah Seads has been notified of your message.